Five years after first synthesizing lysergic acid diethylamide (LSD), Dr. Albert Hofmann went back to look over his creation. His hands were exposed to the substance and then he accidentally touched his mouth. 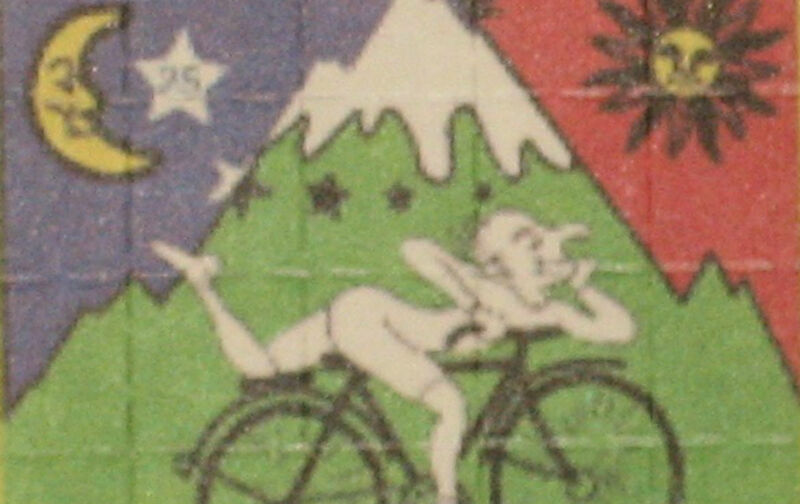 Shortly thereafter, as lay down, he saw an “uninterrupted stream of fantastic pictures, extraordinary shapes with intense, kaleidoscopic play of colors.” In the 1960s the drug attained a wide circulation among hippies and other ne’er-do-well elements of the counterculture, about whom The Nation—then a fairly stodgy organ of what remained of the old left—published an article, “LSD: ‘The Contact High,’” by the writer Howard Junker, in July of 1965. The double-edged promise of psychedelic exstasis—psychosis/enlightenment—is sufficiently fearsome to keep many potential voyagers from taking a trip. The danger of flipping out—permanently losing touch with reality—is quite real, although casualty rates on psychedelic experiences are hard to come by, and perhaps fewer than one in 10,000 experiences results in lasting mental damage…. For all the talk, testimonials and debate, however, there have as yet been no public sessions—after all, the drugs are illegal, and who wants gawkers anyway. But how to translate the experience into terms the uninitiated can understand by subjective reports? scientific analyses? how-to lessons? humble question-and-answer sessions? None of these stratagems do the job, since, ultimately, either you have or haven’t taken a trip yourself.